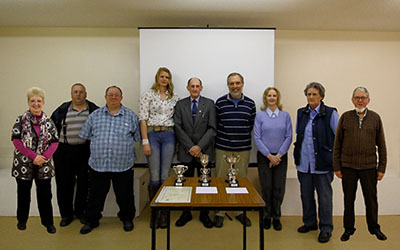 Monday 9th May was the last meeting before the Summer recess and the presentation of the Annual Awards. The results for the year were as follows. Class One Members Prints: 1st David Mortimer, 2nd Cherrie Temple, joint 3rd Stuart Warstat and Bill Selby. Class Two Digital Projected Images: 1st Stuart Warstat, 2nd Sue Mortimer, 3rd Nigel Saunders. Class Three Commercial Prints: 1st Cherrie Temple, 2nd Annabelle Gregory. Following the break, members were treated to a feast of excellent photography when they viewed the WCPF 2015 Members Exhibition. Subjects from Pictorial, Landscape, Travel, Nature and Creative were all represented including acceptances and awards for two of our own members. In summing up, the Chairman wished everyone a very happy and productive Summer and looked forward to seeing their latest images when the new season commences on 10th. October 2016.